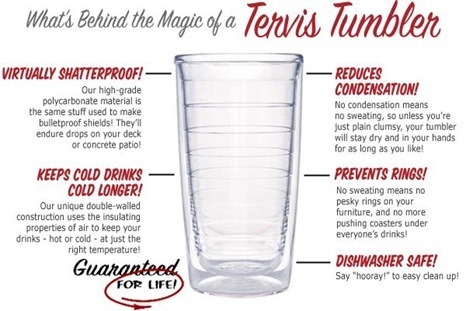 Tervis Tumbler is a company that specializes in insulated tumblers. It’s in fact the market leader in the business of insulated drink ware. They are made virtually indestructible so much so that the company offers unconditional life time guarantee – even if currently owned by someone other than the original owner, any Tervis tumbler is replaced free of charge in case of issues. No wonder then, Tervis even carries privileged licensing agreements with all four of the major American sports leagues (MLB, NBA, NFL, and NHL), nearly all of the major NCAA colleges and universities, all branches of the United States Armed Forces, and many notable companies such as John Deere,Coca-Cola and Disney including Marvel Comics (source: This Wikipedia Page). Tervis’ secret for this success? Doing one thing well and doing it better than anyone else. Read an interesting case study on Tervis here. They had a fascinating story of leveraging upon the mastery of hundreds of people in their town who had been erstwhile artisans of a denim factory that has been subsequently closed leaving all of them jobless. It is a great example for start ups, for branding, for raising funds, for inventory management, for strategic sourcing, for pricing and most importantly for story telling. In fact a line on their page goes like this: “The competition is big, we are small. They have a marketing dept, we have a story”(Loved it!). 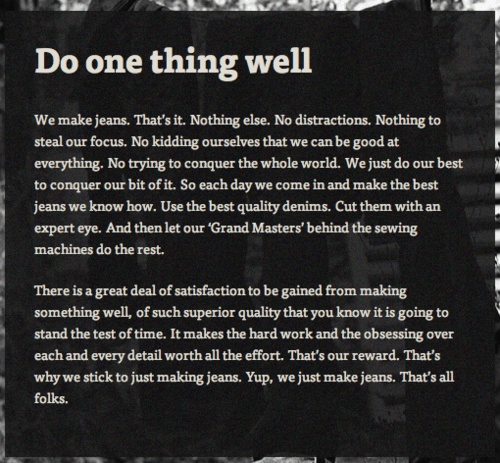 Another noteworthy feature: Hiut Denim will be the first jeans company in the world to have a History Tag. 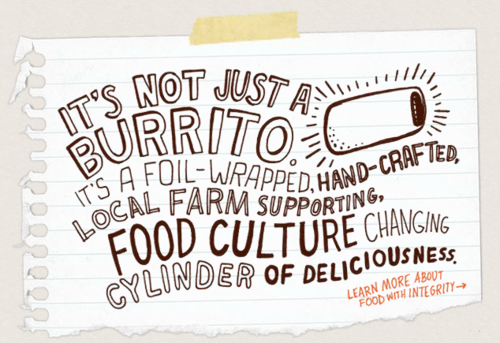 In fact Chipotle has recently started an Asian concept eatery called The Shop House – the South East Asian Kitchen and all you would find there are a few options. That’s it. No fancy dishes, no chef’s recommendation, no exotic sounding Asian names. Just the basics. Executed well. And it has already won rave reviews. The philosophy of doing one thing well is also common with the big tech companies. Google actually has its page of ‘Ten Commandments’ titled Ten things we know to be true. And one of these says: It’s best to do one thing really, really well. And goes on to expound on this in more detail. Another interesting example of this philosophy in IT comes from Unix. Apparently the Unix Philosophy says just that “Write programs that do one thing and do it well”. Finally Fred Wilson – a famed venture capitalist makes a point in this extremely insightful blog on successful mobile applications saying, “Mobile does not reward feature richness. It rewards small, application specific, feature light services.” In other words, successful mobile products need to do one thing that is – Do one thing well. Any interesting brand you know that focuses on just one/few things and does them better than anyone else? This entry was posted in Uncategorized and tagged Chipotle, Fred Wilson, Google, History Tag, Huit Denim, Menu, Mexican Grill, Mobile Applications, Tervis, The SHop House, Unix Philosophy. Bookmark the permalink.